Looking to the future, NASA and other space agencies have high hopes for the field of extra-solar planet research. In the past decade, the number of known exoplanets has reached just shy of 4000, and many more are expected to be found once next-generation telescopes are put into service. And with so many exoplanets to study, research goals have slowly shifted away from the process of discovery and toward characterization. Unfortunately, scientists are still plagued by the fact that what we consider to be a "habitable zone" is subject to a lot of assumptions. 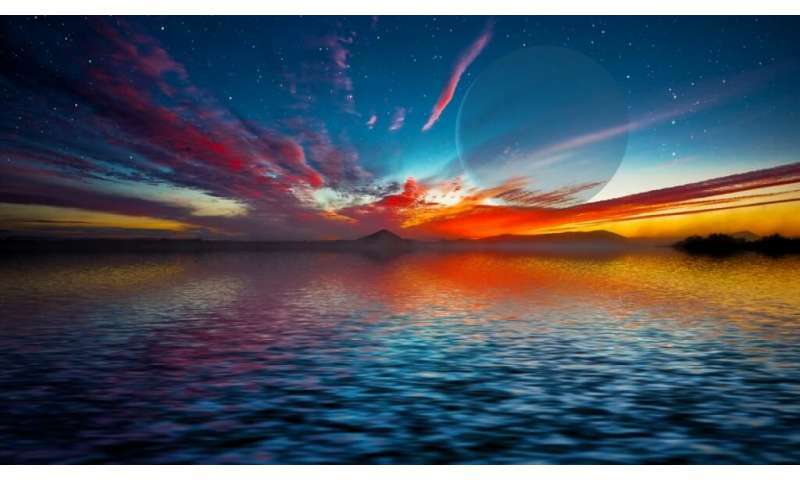 Addressing this, an international team of researchers recently published a paper in which they indicated how future exoplanet surveys could look beyond Earth-analog examples as indications of habitability, and adopt a more comprehensive approach. 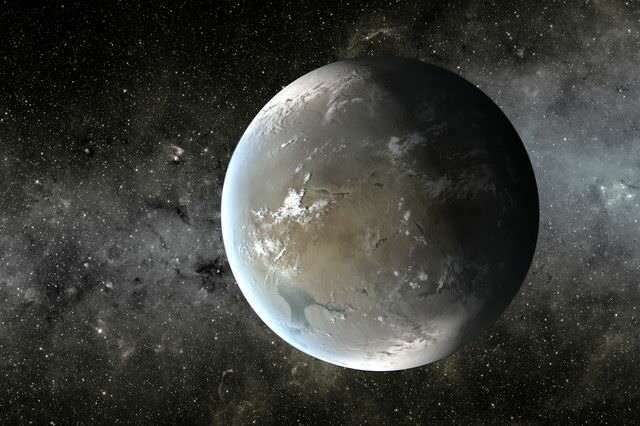 The paper, titled "Habitable Zone predictions and how to test them," recently appeared online and was submitted as a white paper to the Astro 2020 Decadal Survey on Astronomy and Astrophysics. The team behind it was led by Ramses M. Ramirez, a researcher with the Earth-Life Science Institute (ELSI) and the Space Science Institute (SSI), who was joined by co-authors and co-signers from 23 universities and institutions. The purpose of the decadal survey is to consider previous progress in various fields of research and to set priorities for the coming decade. As such, the survey provides crucial guidance to NASA, the National Space Foundation (NSF), and the Department of Energy as they plan their astronomy and astrophysics research goals for the future. One of the overriding priorities of exoplanet research is looking for planets where extra-terrestrial life could exist. In this respect, scientists designate planets as being "potentially habitable" (and therefore worthy of follow-up observations) based on whether or not they orbit within their stars' habitable zones (HZ). For this reason, it is prudent to take a look at what goes in to defining a HZ. As Ramirez and his colleagues indicated in their paper, one of the major issues with exoplanet habitability is the number of assumptions made. To break it down, most definitions of HZs assume the presence of water on the surface since this is the only solvent currently known to host life. These same definitions assume that life requires a rocky planet with tectonic activity orbiting a suitably bright and warm star. However, recent research has cast doubt on many of these assumptions. This includes studies that indicate that atmospheric oxygen does not automatically mean the presence of life – especially if that oxygen is the result of chemical dissociation and not photosynthesis. Other research has shown that the presence of oxygen gas during the early periods of a planet's evolution could prevent the rise of basic life forms. Also, there have been recent studies showing that plate tectonics may not be necessary for life to emerge, and that so-called "water worlds" may not be able to support life (but still could). On top of all that, you have theoretical work that suggests that life could evolve in seas of methane or ammonia on other celestial bodies. The key example here is Saturn's moon Titan, which boasts an environment that is rich in prebiotic conditions and organic chemistry, which some scientists think could support exotic lifeforms. In the end, scientists search for known biomarkers like water and carbon dioxide because they are associated with life on Earth, the only known example of a life-bearing planet. 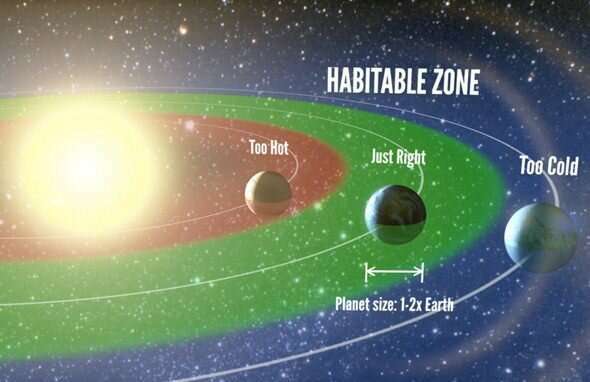 "The classical habitable zone definition is flawed because its construction is mainly based on Earth-centric climatological arguments that may or may not be applicable to other potentially habitable planets. For instance, it assumes that multi-bar CO2 atmospheres can be supported on potentially habitable planets near the habitable zone outer edge. However, such high CO2 levels are toxic to Earth plants and animals, and thus without a better understanding of the limits of life, we do not know how reasonable this assumption is. "The classical HZ also assumes that CO2 and H2O are the key greenhouse gases sustaining potentially habitable planets, but several studies in recent years have developed alternative HZ definitions using different combinations of greenhouse gases, including those that, although relatively minor on Earth, could be important for other potentially habitable planets." In a previous study, Dr. Ramirez showed that the presence of methane and hydrogen gas could also cause global warning, and thus extend the classical HZ somewhat. This came just a year after he and Lisa Kaltenegger (an associate professor with the Carl Sagan Institute at Cornell University) produced a study showing that volcanic activity (which releases hydrogen gas into the atmosphere) could also extend a star's HZ. "Next-generation telescopes could test the habitable zone by searching for a predicted increase in atmospheric CO2 pressure the farther away that potentially habitable planets are from their stars. This would also test whether the carbonate-silicate cycle, which is what many believe has kept our planet habitable for much of its history, is a universal process or not." In this process, silicate rocks are converted to carbon rocks through weathering and erosion, while carbon rocks are converted to silicate rocks through volcanic and geological activity. This cycle ensures the long-term stability of Earth's atmosphere by keeping CO2 levels consistent over time. It also illustrates that water and plate tectonics are essential to life as we know it. However, this type of cycle can only exist on planets that have land, which effectively rules out "water worlds." 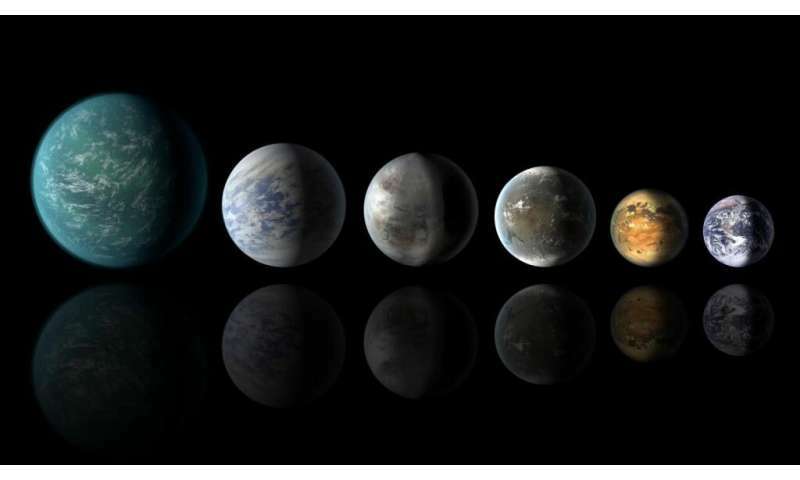 These exoplanets – which may be common around M-type (red dwarf) stars – are believed to be up to 50 percent water by mass. With this amount of water on their surfaces, "water worlds" are likely to have dense layers of ice at their core-mantle boundary, thus preventing hydrothermal activity. "Although methane warms our planet, we found that methane actually cools the surfaces of habitable zone planets orbiting red dwarf stars," he said. "If that is the case, high atmospheric methane amounts on such planets could mean frozen conditions that are perhaps unsuitable for hosting life. We will be able to observe this in planetary spectra." Speaking of red dwarfs, the debate rages on as to whether or not planets that orbit these stars would be capable of maintaining an atmosphere. 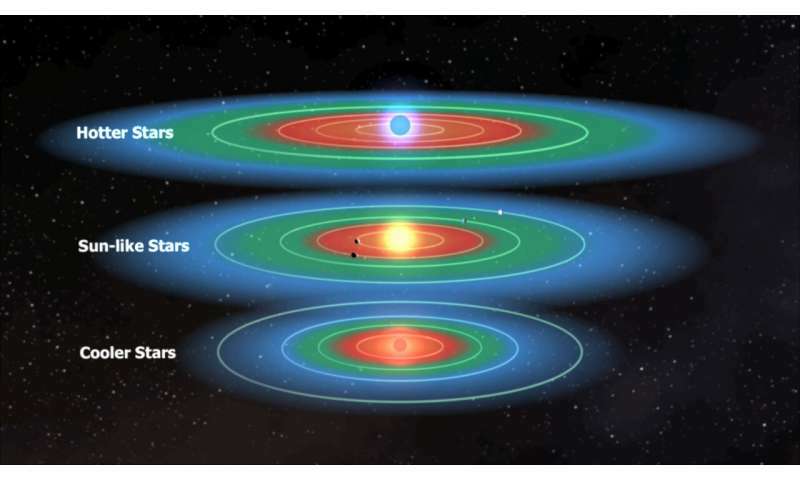 In the past few years, multiple discoveries have suggested that rocky, tidally locked planets are common around red dwarf stars, and that they orbit within their stars' respective HZs. However, subsequent research has reinforced the theory that the instability of red dwarf stars would likely result in solar flares that would strip the atmospheres of any planets orbiting them. Lastly, Ramirez and his colleagues raise the possibility that habitable planets could be found orbiting main sequence type-A stars, which have until recently been considered unlikely candidates. Main sequence type-A stars Sirius A, Altair, and Vega were thought to be too bright and hot to be habitable. Ramirez says, "I am also interested in finding out if life exists on habitable zone planets orbiting A-stars. There has not been a lot of published assessments of A-star planetary habitability, but some next-generation architectures plan to observe them. We will soon learn more about the suitability of A-stars for life." Ultimately, studies like this one, which question the definition of the "habitable zone," will come in handy when next-generation missions commence science operations. With higher-resolution, more sensitive instruments, they will be able to test and validate many of the predictions that have been made by scientists. "Our paper also stresses the importance of a continued investment in advanced telescope technology. We need to be able to find and characterize as many habitable zone planets as possible if we wish to maximize our chances of finding life. However, I also hope that our paper inspires people to dream beyond just the next 10 years so. I really believe that there will eventually be missions that will be far more capable than anything that we are currently designing. Our current efforts are just the beginning of a much more committed endeavor for our species." the search for life is fun, but in the end not so exciting as the search for extraterrestrial intelligent life. in the next 500 years, the odds are much greater we can genetically engineer gorillas, to be smart enough to expand their sign language dramatically close to being primitive human in intelligence, than we are of finding extraterrestrial life. Unless of course, ET's are already here...........mwhahah.